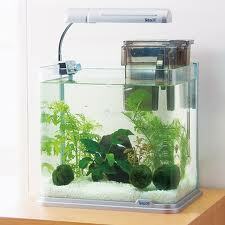 “Are the fuzzy leaf-ball things in this tank for fish to play with?” I asked. 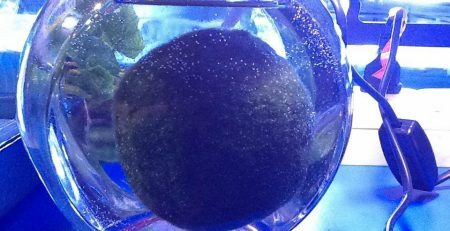 Pictured above is the distinctly spherical Marimo. 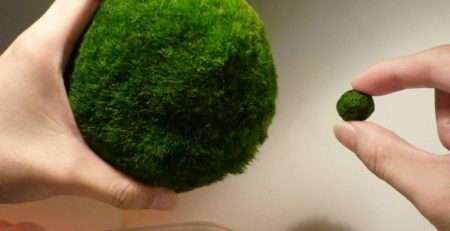 Commonly sold as “Moss Balls” (it’s not actually moss), marimos are a spherical tangle of filamentous green algae that form naturally in northern freshwater lakes. 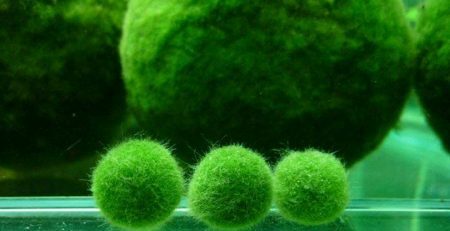 Marimo is their Japanese name, which specifically refers to the largest free-floating spherical colonies of Aegagropila linnaei endemic to Lake Akun, Japan. Worldwide, A. linnaei is found in three different growth forms: epithelial colonies on shaded rock surfaces and unattached filament fluffs are common while this densely packed ‘lake ball’ form is very rare in comparison. 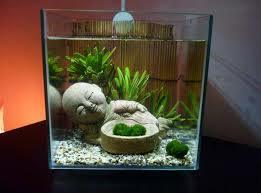 Growing only at about 5 mm per year, a marimo might need decades of good luck to reach a diameter of 4-5”. 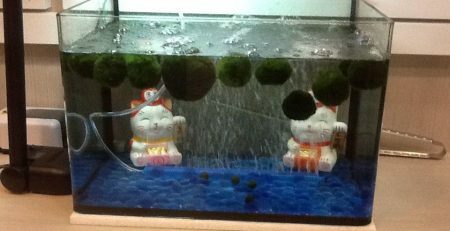 However, the most famous Marimo are all from Japan’s Lake Akan, where they grow up to an amazing 12” wide! 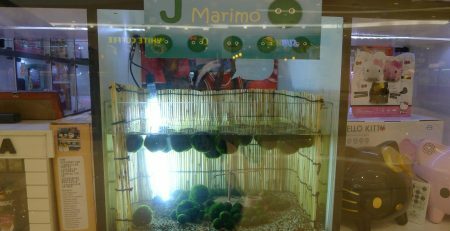 Marimo as part of modern culture traces back to here, where the marimo were made a protected species in 1920 and officially recognized as a National Treasure of Japan (the marimos sold in pet stores are artificial). Though still threatened and wild populations in decline, the Japanese conservation effort is growing strong and includes a local three-day festival celebrating marimo each year. 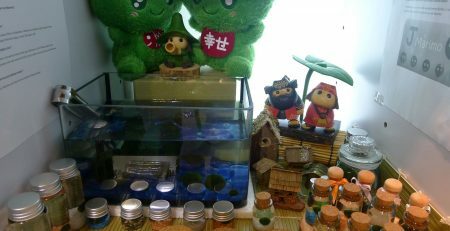 Already amazed by the Marimo and sold on the practicality of keeping on as a pet, I then noticed they were only $5.99 each and asked about putting in my betta fish’s tank. “They’ll get along fine,” he assured me. And sure enough, they did.